Anastasia Gammon: 'Stasia's Special Hot Chocolate'. First you want to measure out your milk. 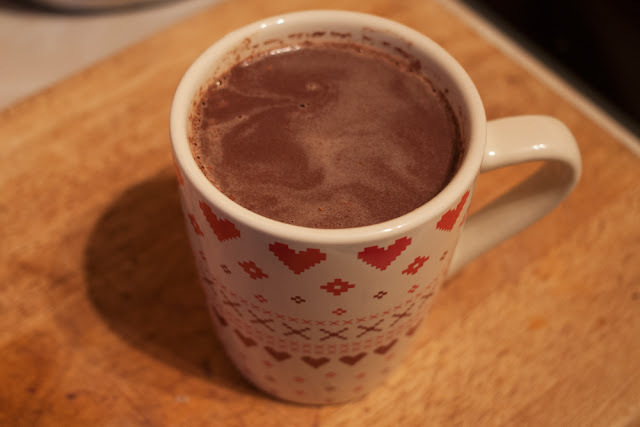 I usually just use the mug(s) I'm going to be serving the hot chocolate in for this, almost filling each mug with milk but leaving a good amount of space at the top because the melted chocolate will mean you end up with more liquid than you started with. Pour your milk into a saucepan and heat it on a medium setting on your hob. You don't want the milk to boil, you just want to heat it up a little bit to help the chocolate melt quicker. 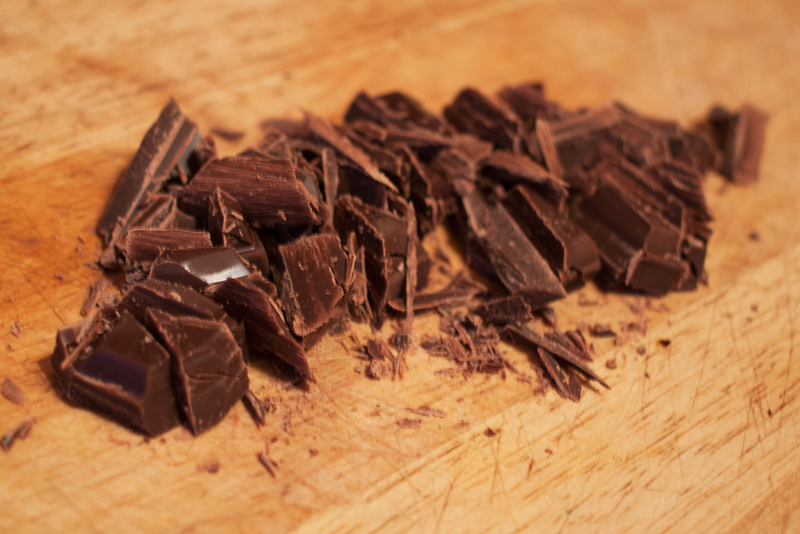 Next up is the chocolate. 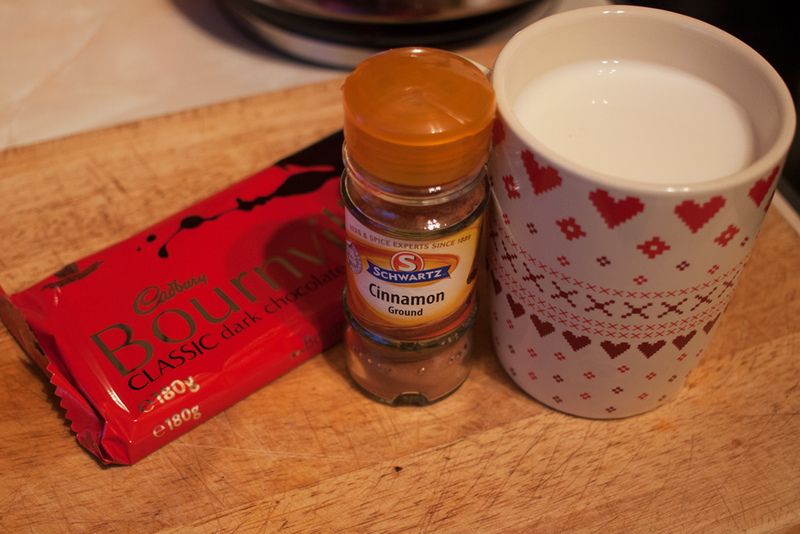 I usually go for Bournville and I use about 8 squares of chocolate for each person. Chop your chocolate up into smaller pieces and by the time you've finished that your milk should be warm enough for you to just pour the chocolate straight in. 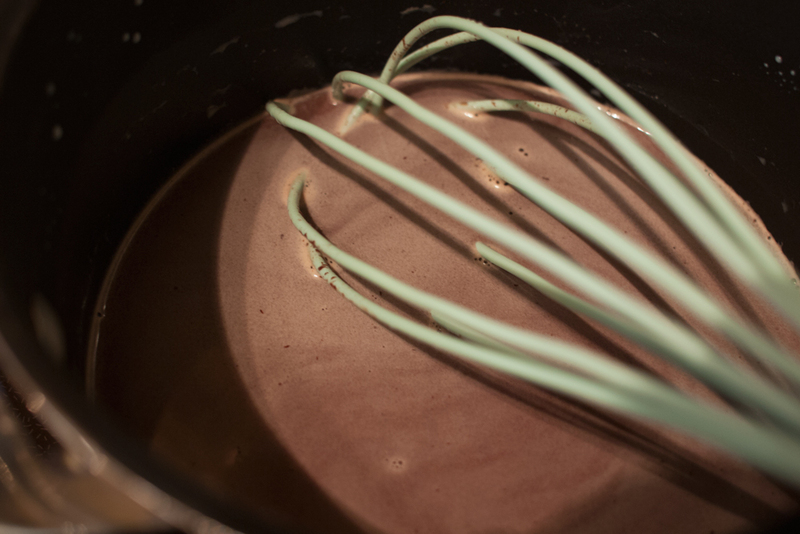 Use a whisk to gently mix the chocolate and milk together until all of the chocolate has melted. Remember, you don't want the milk to boil, otherwise you'll just end up with that gross milk skin nobody likes. When the chocolate is all melted add a small dash of ground cinnamon (and a little splash of whiskey if that's your thing) and give it all a good last stir. Pour it back into your mug and voila! That's it. You can thank me later. Thank you! I hope you enjoy it if you try it out yourself!